The clouds were there at Lord’s yesterday on the morning of day three of the second test but no swing. It was too cold or, more exactly, not warm enough to generate movement in the air. There was some lively bounce to be exploited but the Englandbowlers’ radar equipment had been borrowed by the backroom staff to watch for rain and too many deliveries jetted down the leg side or blew themselves out outside off. 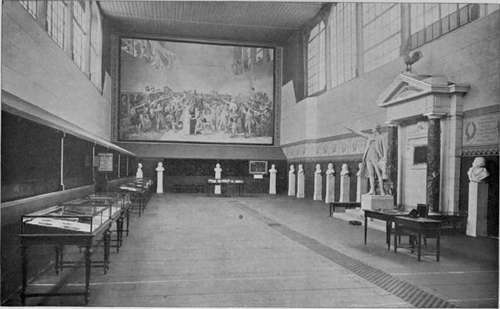 In the dressing room the radar revealed that the French were exporting precipitation in a cunning plan to narrow their budget deficit. The dominant anti-cyclone, centred somewhere over the North Sea, was producing rain squalls swirling across from Calais to Dover and then along the Downs missing Lord’s by a whisker, but always threatening to edge northwards and drench the entertainment. Dilshan despite concerns over his right thumb, smacked hard at Cardiff and buffeted again on day two, bravely increased his score by 60 before lunch, England dissipating the potential of the new ball. If he continued at this rate of knots he could reach 300 by close of play. 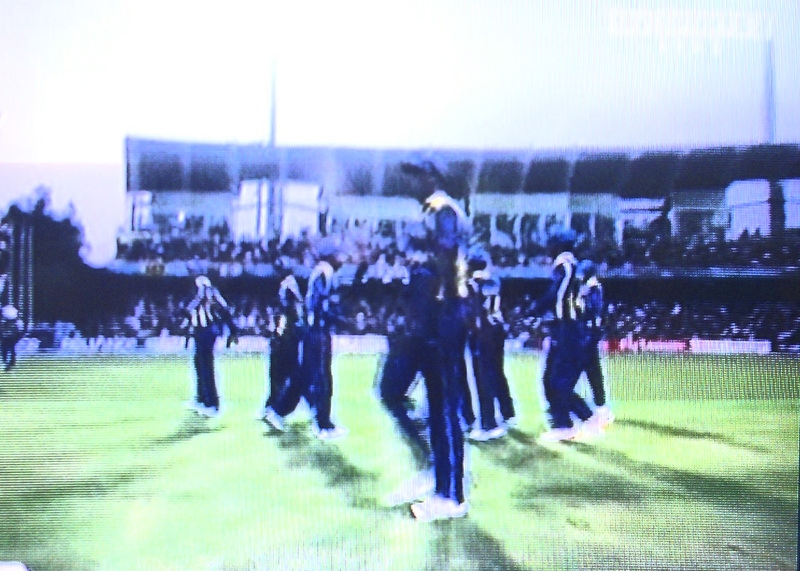 Sri Lanka took their score to 344/2 by the same interval. If they continued to storm ahead they could reach 600 by close of play. Was the track that flat? The England bowlers seemed to think so. None of them were keen to bowl on it. Finn, working with Saker before the start of play had nearly killed Trott who is having one of those weeks. An unusually accurate delivery from the Flying Finn had ricocheted off the spring propelled practice stump straight into the head of a Trott wandering lonely as a cloud. 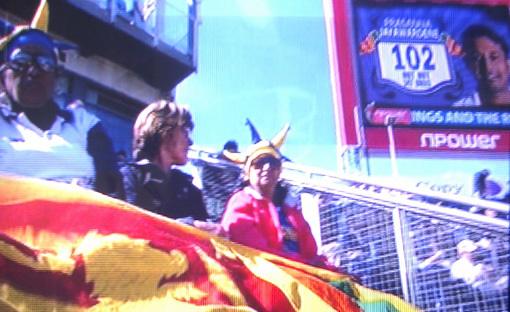 “For God’s Saker!” heard those watching from the Grand Stand. Tremlett produced steep and disturbing bounce, but it was an innocuous tempter that did for Sangakara, who, keen to match his average score in England of 27, had pummelled his way to 26 before wafting breezily at the passing delivery. The former Lankan captain and the former England captain, Pietersen, may have much in common and might wish to use any future interruption in play to talk about their predicaments. But both would be advised to avoid Sir Ian Botham to whom Pietersen, the day before, had sought advice. “What should I do, then, Both?” “Try batting left handed!” Pietersen’s reply to this characteristically helpful advice from ‘Beefy’ went unrecorded. Mahela Jayawardene now played Southern Hemisphere to Dilshan’s Northern. Mahela waits for the ball, playing late and using its momentum to redirect the whirlwind (as the first Duke of Marlborough advised). Dilshan throws his hands at it. Tragically this day he did so literally when on 193 another twister from Tremlett honed in on that thumb, tightly bound in tape as it was, and gave it a third cyclonic pounding in roughly a week. 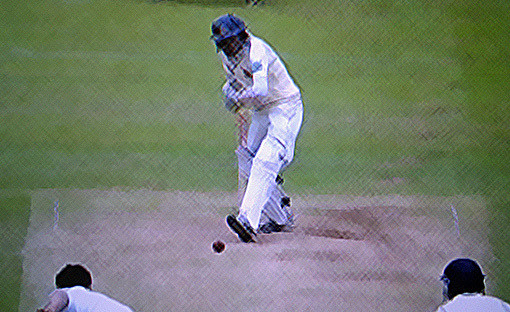 Soon after, and with the Lankan physio doing his very best to make things worse by tugging on the digit to see how bad it was, “For God’s Saker!” the valiant opener, beside himself with pain, received a ripper from Flynn that swept through his defences and recoiled from his hip down onto the stumps. In sympathy the Great Weatherman thought that enough was enough. French rain precipitated the end of the meteorological allusions for the day. The feasting on runs continued under blue skies at Lord’s yesterday on the second day of the second Test between England and Sri Lanka. Prior and Broad upped the scoring rate from a replete 3.89, yesterday, to a Rabelaisian six-an-over with Prior relentless and Broad continuing to drive anything remotely near his reach. Prior, although helped by Lankan fielding and catching lapses, deservedly reached the landmark of a Lord’s century with an ecstatic roar beneath the helmet and moved on with the tail to post 126 from 131 balls. 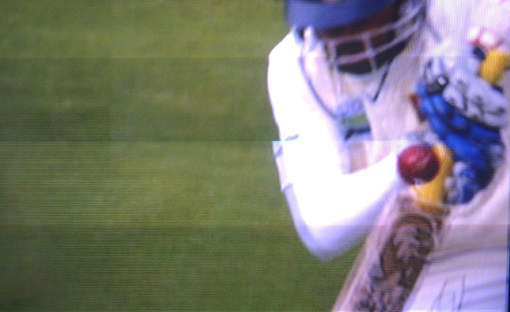 Broad cruised to 50 before falling LBW to Welegedara. Scoring at 6 an over,England made 144 in 25 overs, and took their first innings to 486 at 4.3 an over. But the ‘shape’ or swing that Welegedara (4/122) and Lakmal (3/126) were able to command in these unhelpful conditions and the four LBW dismissals should remind us that if clouds were to appear over St John’s Wood in the three days to come, England’s array of tall young fast bowlers could again make life difficult for the Sri Lankans. And there is always Swann to bowl in any fourth innings. But there was not a cloud in the sky or in the minds of Dilshan and Tharanga as they took guard on this flat Lord’s wicket and menacingly adapted their game to it. Tharanga was the slow and solid Good Cop (kissing his bat compulsively twice before each of his 184 deliveries) and Dilshan the Bad Cop who bats like a law enforcer with a Taser gun, its Electro-Muscular Disruption (EMD) technology permanently charged through the super-conductivity of his nervous system ever ready to stun the errant and not so errant bowler with its high voltage discharge. And on this Saturday an allegedly full house were given the chance to remember a second, thanks to Dilshan’s arresting 127 in 166 balls with 12 fours and 2 sixes. It seems boorish of the ECB to deny a West Indian or two the opportunity of a Saturday ton at Lord’s during their tour next year. It betrays poor prioritization and ignorance of what matters in the game. On cricket’s behalf, Dilshan should be given the job of ‘interviewing’ those decision makers with the aid of his trusty EMD device. Back in the middle the openers celebrated their 200 partnership with bear hugs. That is how much playing at this unique venue matters to hardened pros. Swann bowled well, but the Sri Lankans gave a demonstration of batting against spin. Watching and waiting they played as late as humanly possible in a way that must create hope for the bowler that the bat won’t get down in time, but it ever does and with lightening speed. So there were lots of ‘oooohs’ and ‘arrrrrhs’ and arms folded above heads but no bona fide alarms. And so the Lankans, pursuing England’s 486 all out, are 231/1, 255 runs behind with 9 first innings wickets remaining. Day 1 of the First Test had witnessed a hive of activity in the Great House. Early that morning Third Man had taken the Type III up to a great height from which he could plot the incoming waves of rainfall temporarily exhausting themselves and holding out the prospect of a fine breezy afternoon with a similar day to follow. Stopping only to communicate the picture to Will It Rain Today and one or two favoured recipients of such intelligence, including the Sri Lankan coach, TM returned to find all that might need washing gathered in and thrown into the tub. In the fields on that Thursday afternoon, the village was out to mow and by dusk every blade of grass was scythed. 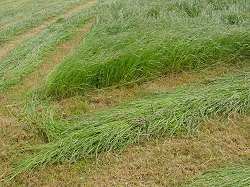 The Squire is an experimental agriculturalist and alone in the Land insists on growing grass which, when cut, is quickly dried and bundled. And so Day 2 saw the linen on the washing line and the mown grass lying topsy-turvy bleaching in the sun until all hands returned to toss and rake and fill the haywain’s cart. 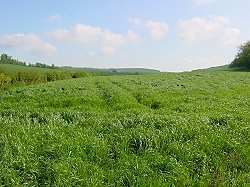 By dinnertime just stubble remained and the haywain trundled his top-heavy cart towards the Great Barn. All the village knows that it will tip down on Day 3. “Job’s a good’n,” voiced the Reeve. Why this picturesque description? Because no one knows better than Stuart Law, who now manages the Sri Lankan concern and has had many discussions with the Squire on farming practice, how to take advantage of a period of dry weather. On Day 1 of the 1st Test, as the sun came out in the late afternoon, it was all Sri Lankan hands to the task of bringing in the runs. Day 2, continuing bright and dry, they knew to be critical to their chances in the Series. Recovering from losing the first in a three match series is toil indeed. Retuning to the field at 133 for 2 and before a single run could be gathered they lost DPMD Jayawardene and 26 runs later Tharanga as well. At this point the game might have gone either of two ways. England, bowling a fuller length, must have hoped it would go theirs seizing the advantage of hacking down an overgrown tail inexperienced in these conditions. But first the steadfast Samaraweera and then Prasanna Jayawardene stuck to their task, playing one ball at a time and mentally dismissing each play-and-miss, each edged shot, each streaked boundary and put on a series-shaping partnership of 119. Of the England bowlers, Broad, now part of management, kept his cool – just – Anderson worryingly left the field with a troubled back, Tremlett mimicked McGrath without yet the gift of finding the finer edges and Swann, who ended the day with 3 – 78, looked ever dangerous which, given any other prevailing weather pattern, might have excited the spinners on the opposing side. After tea, as Jayawardene’s bat scythed the air in a beautifully languid way reaping for himself a deserved and stylish hundred, the Sri Lankan batsmen could be heard singing that fine old farming hymn, “Safely, safely, gathered in, Far from sorrow, far from sin …” whilst they heaped a neat and precise stack of 400 runs. Englandreplied with 47 for the loss of their captain, but the interval of dry weather has passed and Mendis and Herath will have to wait for a drying wind if they are to get their chance to reinforce the lesson that England should have played two specialist spinners. Third Man should have listened. Some will have noticed that the Type III has been grounded of late, gathering dust in an unseasonably fine spring. TM picks over the probable causes to find a mixture of parental demands, political frustration – the Squire insisting on putting himself forward in the hustings – and poisoning. It is no coincidence that the last posting here was of an early match in IPL4. But its surface sparkles like a plate cooked in monosodium glutamate which, despite its toxicity, arouses the appetite and with it admiration and wonder … if only you avoid the unripe commentary; “that’s massive”, “that’s huge”, “he’s really smashed that”. Or is Third Man like some player of Royal Tennis who, having tried the new craze played on the Palace lawn, goes back inside to enjoy the fine dining of the real game’s perfectly balanced complex of the natural and the contrived? Like Third Man on the day after, cricket may one day conclude that it should have left well alone. ‘Leave well alone’ is of course the difference between T20 and Real Cricket. Real Cricket is a game of time. Playing time is remembering to leave. Consequently, would the first day of the new season in England, with its expectation of Sri Lankan batting excess, put Third Man back on his feet or leave him feeling under the weather? A low pressure system coming in from the Atlantic tried its best to postpone the cure, but at around 4 pm the dangerous Tillakaratne Dilshan and the hazardous Tharanga Paranavitana took the emerald field at Cardiff to face James Anderson, Stuart Broad and Chris Tremlett in conditions that surely favoured the English attack. Third Man does feel slightly better this morning. Not his old self, but perhaps able to take some thin broth. The ball swung and carried on off the pitch. Dilshan raised his bat to let it by. The ball spat up off the drying surface. Tharanga took it on the chest. The ball deviated and rose sharply. 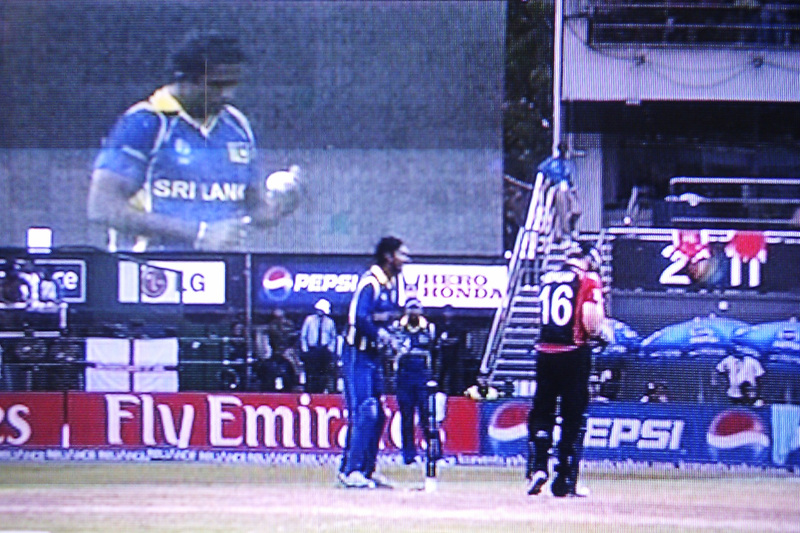 Dilshan dropped his wrists like a seasoned English pro opening the batting in May. Both openers felt the ball on chilled and unprotected skin. 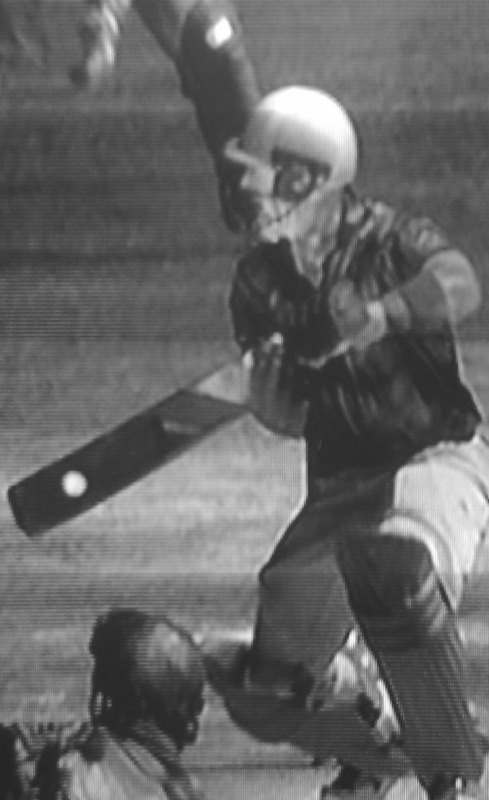 Dilshan took blows to the abdomen leaving him prostrate and the bottom hand leaving him disengaged. On occasion Tharanga sliced square reminding us of his World Cup innings, but England had the advantage of replete protection there. 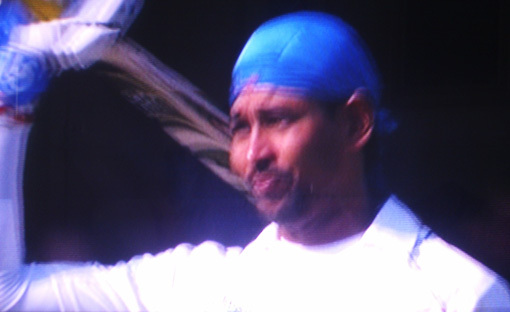 Twice or thrice, Dilshan reached for the kitchen sink and tainted the off-side field. Despite the departure of Dilshan and a deaf and insensitive Sangakkara, Sri Lanka ended the day having endured the fare on offer, consuming the attack until the drying turf began to resemble Third Man’s beloved feather bed. As a rule, they left well alone.